PLUS is a well established organisation providing support to children and young people with disabilities. Recently achieving gradings of &apos;Excellent&apos; from the Care Inspectorate, PLUS prides itself in the quality and diverse nature of our service provisions. PLUS has worked with children and young people with disabilities and their families for thirty years and continues to grow and develop. PLUS provides individualised support and opportunities for service users to get out and have fun with people of their own age. This also gives parents and carers some time for themselves. It is a registered Charity, Company Limited by Guarantee and is registered with the Care Inspectorate. 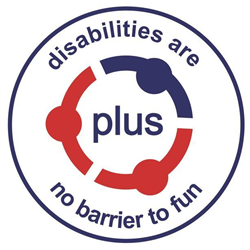 Further information about PLUS is available on our website - plusforthvalley.org.uk or by visiting our Facebook page at PLUS88. This new post offers a unique opportunity for the successful candidate to develop and coordinate volunteering opportunities for those interested in work with children and young adults with disabilities. The successful candidate will have an opportunity to be creative in working alongside individuals to design an engaging and stimulating service, ensuring individual’s needs and outcomes are being met. This role would suit a creative, flexible and self-motivated individual who has the drive to develop it to ensure it continues to meet the needs of the young people and the families we support. This post is funded by Big Lottery Fund. A job description and a person specification are attached. To develop, coordinate and deliver PLUS Family Support within the Forth Valley Area. This includes services for children with disabilities from birth to age 18 and their families, offering regular short breaks to parents and carers whilst increasing the opportunities available to children to develop friendships and reduce their social isolation. The post holder will be required to develop partnerships with families and local service providers, including the Local Authority, Carers Centres and other third sector agencies.